along the coastlines of Milos and the neighboring islands. Welcome to the island of Milos! Let us guide you to one of the most beautiful places in Greece. A volcanic island of natural art, with more than 90 colorful beaches, hidden catacombs and hot springs known since antiquity for their healing properties. 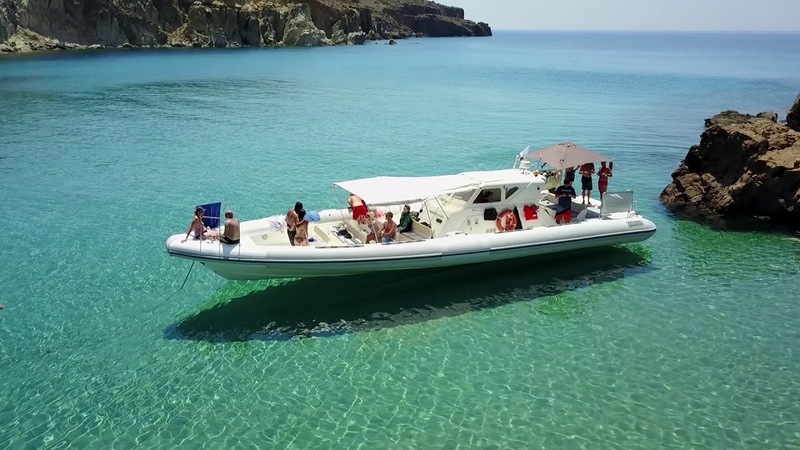 Visit the most beautiful beaches of Milos and live an unforgettable summer experience through an exploration cruise.